Can you believe the holidays are here!? Time is flying by and I wish it would slow down a bit. 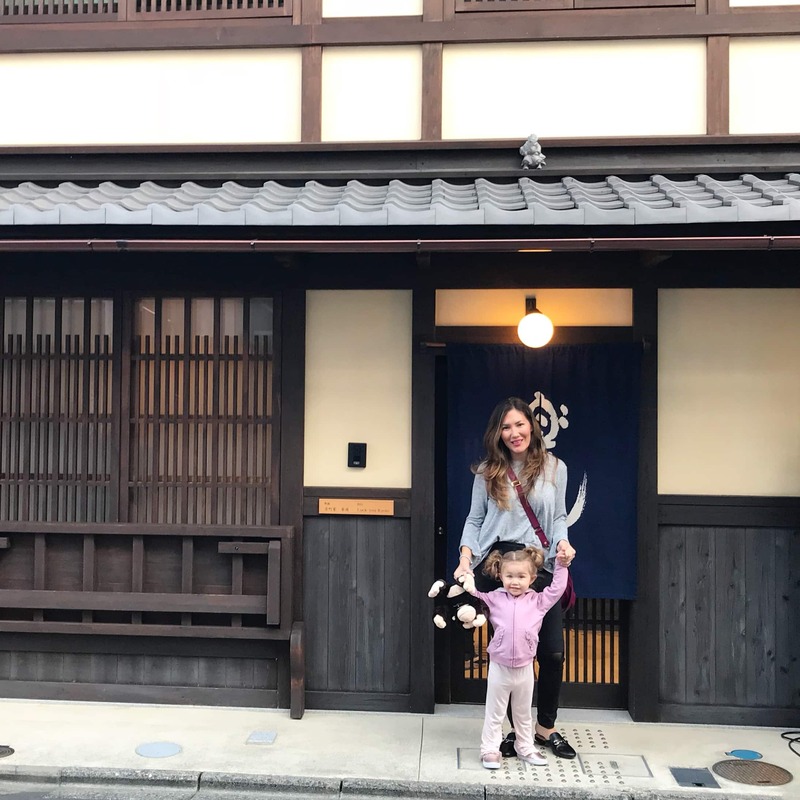 We just got back from Japan a few weeks ago and it was seriously one of our best trips! Traveling with a toddler isn’t always the easiest, especially an international trip! We were so afraid because of how long the flight was, but thank goodness she was so well behaved and all the activities I brought kept her busy. (I have to thank Melissa & Doug removable sticker books and their water and color pads) We found an unreal deal to Japan on Air Asia for $298 RT! (We then upgraded our seats to flatbeds for $300!) Yes, you heard that right. After an 8.5 hour flight from Honolulu to Osaka, we had to take a train to our hotel at InterContinental Osaka. This was such a great location as it’s just outside of the train station and in the heart of Osaka. 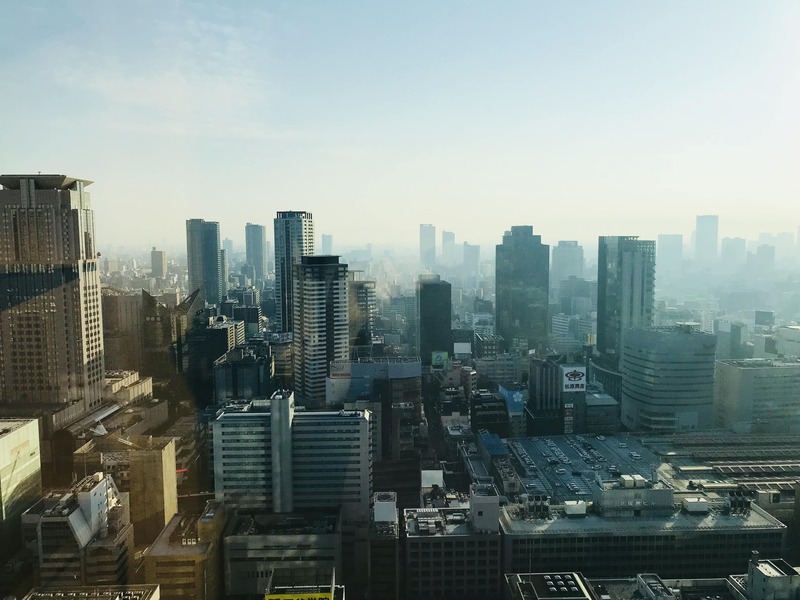 We got checked into our room and it ended up being a gorgeous 1-bedroom suite with a beautiful kitchen, washer/dryer and jaw-dropping skyline view of Osaka. I highly recommend this place if you visit Osaka! They even had a luxury bath house, which was such a nice treat after a long flight to fully relax and decompress. Since we had such a long travel day, we didn’t want to immediately go to Kyoto since we got in so late at night. If you have kids, I recommend breaking it up a bit and stay a night in Osaka if you can. The next day, we took our time and traveled to Kyoto on the train. I was so excited to explore this city, because of it’s history and charm. We booked 4 nights at a ryokan called Luck You, which is a traditional Japanese Inn. It reminded me so much of visiting my grandparents in Korea, because you sleep on these futons on the bamboo floor mats. It’s definitely not a luxury 5-star hotel, but it’s all about the experience and you should try it if you ever visit Kyoto. While staying here, we got to eat a traditional Japanese breakfast every morning and it was so delicious. They basically eat miso soup, rice, pickles and mini sandwiches. This was my favorite breakfast out of our entire trip in Japan! What is interesting at staying at a ryokan is they charge you for the amount of people in one room vs. just the room. So if you ever visit Japan and stay at a ryokan, you are charged per person. Interesting right? Our first night in Kyoto, we went to Gion district which is a pretty happening place. Since we were visiting during fall foliage, the streets were packed with locals and tourists. 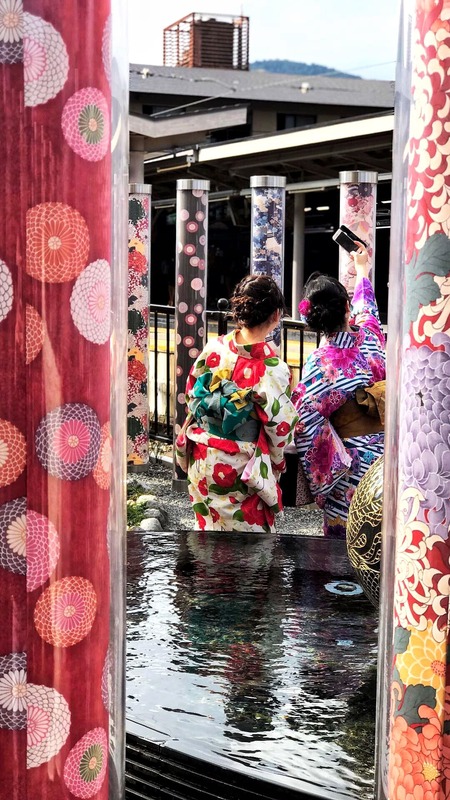 The one thing really cool about Gion is that you see geisha’s and also people dressed up wearing the traditional kimonos down the alley ways of Gion. It’s as if you’ve stepped back into time.